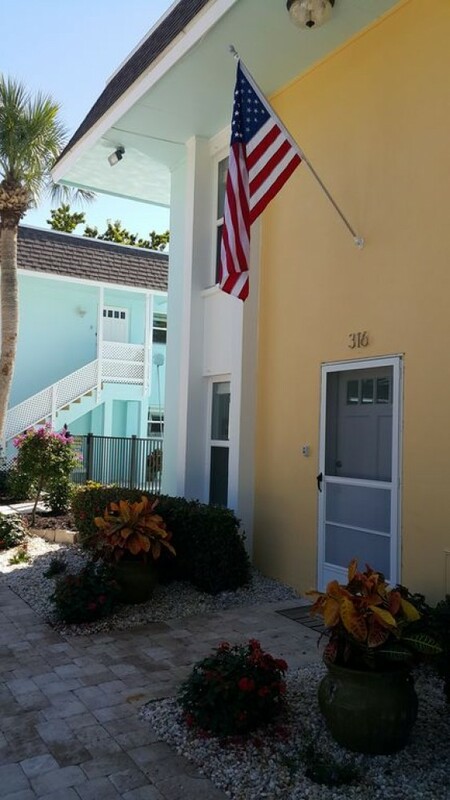 Located on the Voted number “#1 Beach in America” popular Siesta Key in Sarasota, Florida, the “316 CANAL” offers the perfect vacation getaway. The “316 CANAL” maintains that great 'Old Florida' flair with all of the modern day amenities our guests expect. Guests at the “316 CANAL” have it all! Only signed guests have use of property entirety, including but not limited to pool, dock, BBQ area, and parking. This includes no overnight guest. Maximum parking 2 spaces. FOR HOLIDAY RATES THERE WILL BE AN ADDITIONAL $50.00 FEE FOR 1 BEDROOM UNITS, AND ADDITIONAL $100.00 FOR 2 BEDROOM UNITS. $100.00 fee per Pet. This is limited to pet friendly units only, and REQUIRES a pre-approved pet contract. 30% deposit is required when booking. We prefer checks, but will accept credit cards with a 5% processing fee. The balance due and refundable security deposit of $200.00 will be due 30 days prior to arrival. Only signed guests have use of property entirety, including but not limited to pool, dock, BBQ area, and parking. This includes no overnight guest.